The restoration of our 1976 Harley Davidson Bagger is complete. You may recall that the bike was trashed while stored in LA awaiting shipment to Brisbane. I am happy to report however that the bike now looks better than when we purchased it last August. 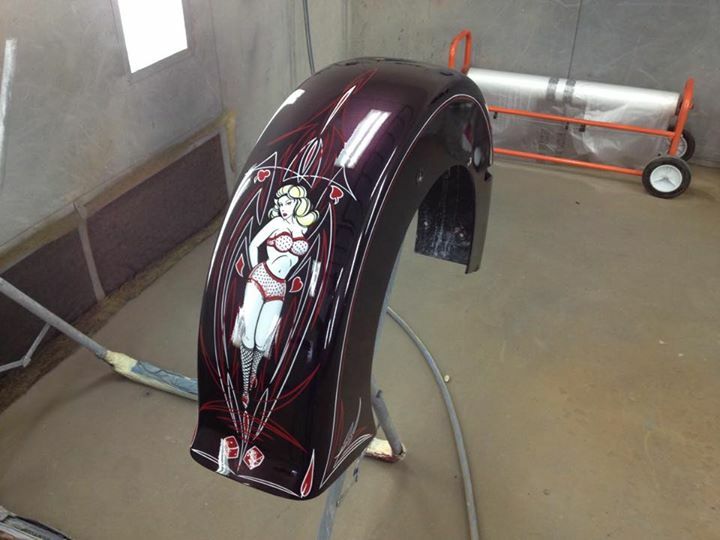 We asked Sam Keddie, our pinstriper, to touch up the custom paint job which had been damaged. Sam found a picture of the bike in one of his pinstriping books. It turns out that Kal Koncepts, the original artist, is a very well known and respected custom paint and pinstriping shop based in Bakersfield, California (where we purchased the bike). I should have done my research. I reckon the new owner got a bargain...a fantastic as-new bike with a pedigree!